Be like a burning match to others! Yes, revival begins with YOU! 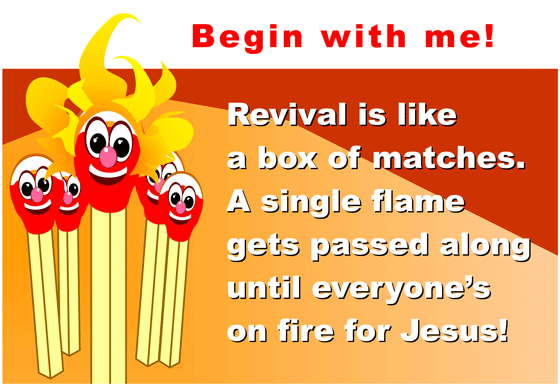 “Revival is like a box of matches. …if you already invited Jesus into your heart! And Jesus gave you authority to do the same and even greater works as He did (read Mark 16, 17-18; John 14, 12)! He wants to empower you with power from above (read Luke 24, 49)! Like the first Christians received it on Pentecost (read Acts 2)! And YOU can also receive your personal Pentecost! and keep the fire in your heart burning! 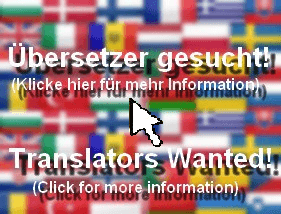 This entry was posted in News-English and tagged Burnout,Carry Your Candle,Holy Fire,Lukewarm Christianity,parable,Pentecost,Personal Pentecost,Power from above,Reformation,Revival,Tongues,Tongues Of Fire on January 28, 2015 by Administrator Message-For-You.net.